The Sacramento Kings executed their third trade before Thursday's NBA trade deadline, sending Skal Labissiere to the Portland Trail Blazers in exchange for Caleb Swanigan. 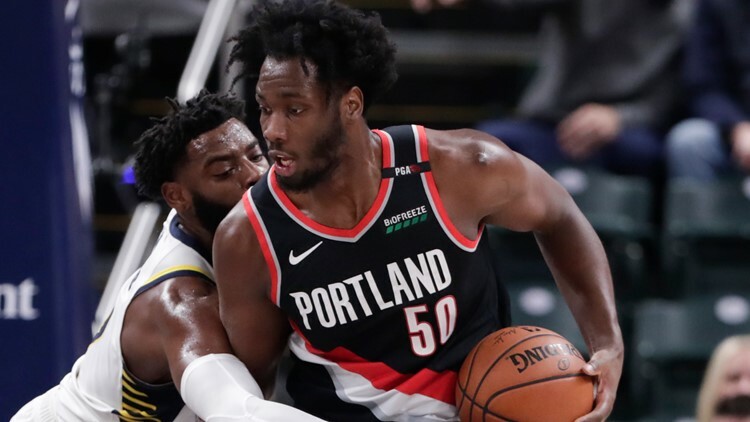 SACRAMENTO, Calif — The Sacramento Kings have acquired forward Caleb Swanigan from the Portland Trail Blazers for forward Skal Labissiere in a trade of former first-round picks. Labissiere was taken 28th overall in 2016 by Sacramento. He is averaging 2.8 points and 1.8 rebounds in 13 games this season. A league source also informed ABC10 that the Kings will ink veteran Corey Brewer to a 10-day contract. That person spoke on the condition of anonymity because the deal was not yet official. Brewer is 31-years-old and played on two 10-day deals with Philadelphia.